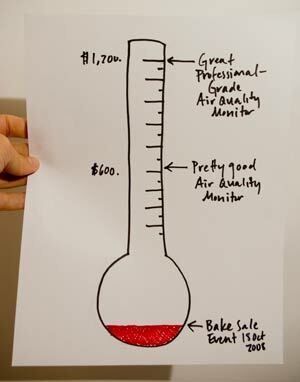 The Air Quality Bake Sale is intended to raise money for a much needed air quality monitor for our station. 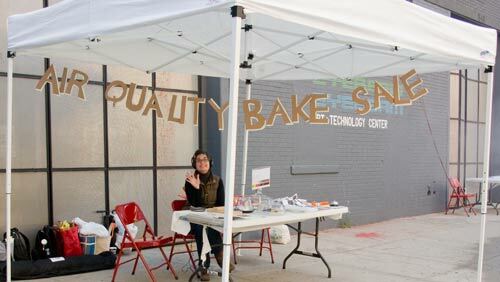 We had an initial sale in conjunction with Eyebeam’s Open House on October 18, 2008 and are planning more Air Quality Bake Sale events in the future. 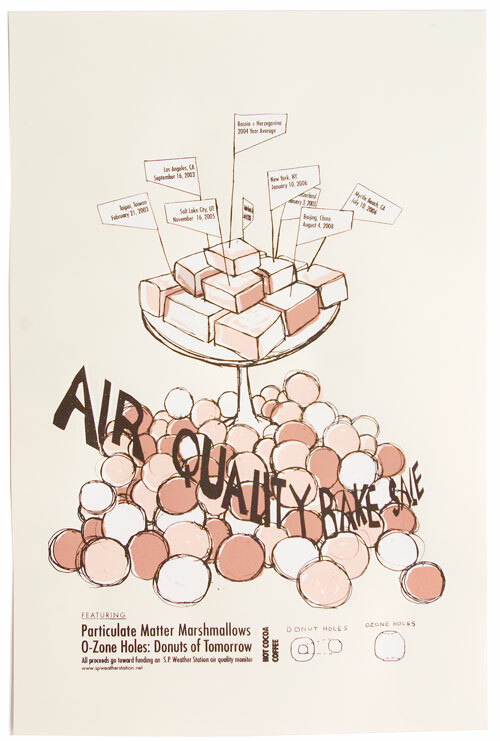 The sale featured Ozone Holes: Donuts for the Future, and Particulate Matter Marshmallows, as well as other weather-related goods, and we are proud to have raised $97.58 toward our goal. We are of course accepting donations toward the air quality monitor and other SPWS activities. SP Weather Station is a sponsored project of Fractured Atlas, a non-profit arts service organization. Contributions in behalf of SP Weather Station may be made payable to Fractured Atlas and are tax-deductible to the extent permitted by law.